Summer is here, so go soak up the sun in a new beachside arena. What's next for Rocket League? After a successful couple of years in which Psyonix's sports game on wheels has sold millions of copies and ballooned into a massive esport, it's time to go hit the beach. Rocket League's next update will include a new sandy arena called Salty Shores. This is where Rocket League games will be contested around a scenic beachside pier, offering a full view of the nearby theme park and the vast ocean. This will precede Rocket League's big summer event. 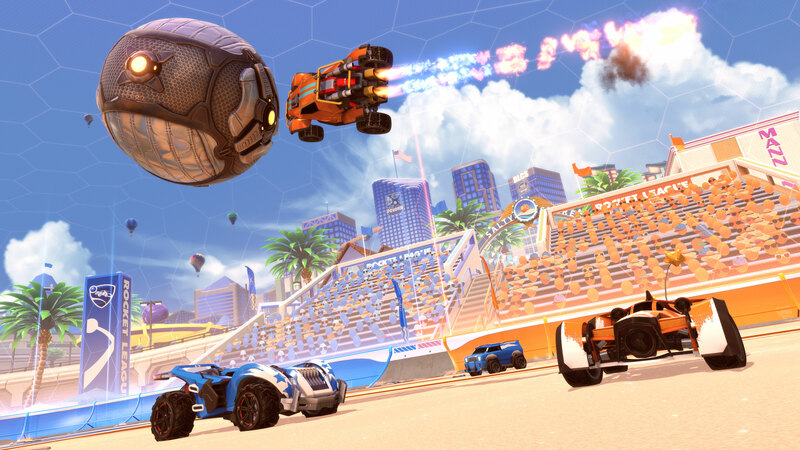 Beach Blast is set to begin on June 11, though Psyonix is light on details. Look for more information on this event as the launch date gets closer. The Salty Shores update is expected to arrive on May 29 on all Rocket League platforms, give or take a few days depending on first-party certifications. It's called salty shores because I will be salty when my team lets me down. Saltier than a nut being busted into your mouth! That new car looks like it has the Octane's hitbox! Devs confirmed that it does.